The Chison Q9 is the more advanced version of its sibling, the Q5, and from its imaging capabilities to ease-of-use, the Chison Q9 stands as the high-end portable shared service color Doppler ultrasound machine that outperforms the Q5 in almost every respect. 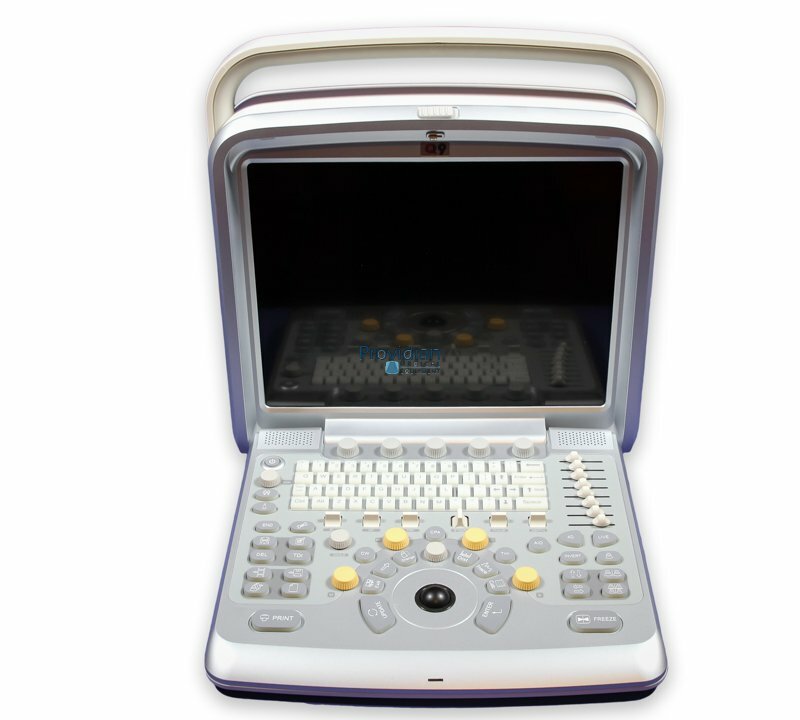 The Q9’s versatile system platform is designed for optimal imaging and user performance in all clinical environments, from small clinics to large hospitals.Just some of the ultrasound imaging applications of the Chison Q9 include ABD, OB/GYN, small parts, musculoskeletal, cardiology, and so on. And when scanning, the Q9’s real-time 4D with powerful turbo imaging engine allows for spectacular, clear images that, among OB/GYN applications, strengthens the bond between mother and fetus. Other supporting imaging technologies include continuous wave (CW) doppler, tissue doppler imaging, IMT functions, and more. Physicians can also take advantage of the Chison Q9’s high-frequency linear probe (up to 18MHz), providing unparalleled detail resolution and superior contrast resolution. Quadplex technology with the transducer also allows for automatic tracing and measuring to help make diagnoses more accurately and more conveniently. When compared to others in its price range, the Q9 ranks among the top systems. It has its strengths where it outperforms others, particularly with the 18MHz probe for superficial imaging.